Matt Pike has been having a busy and very successful year with his doom metal project Sleep, who released their comeback record, The Sciences, to critical acclaim. 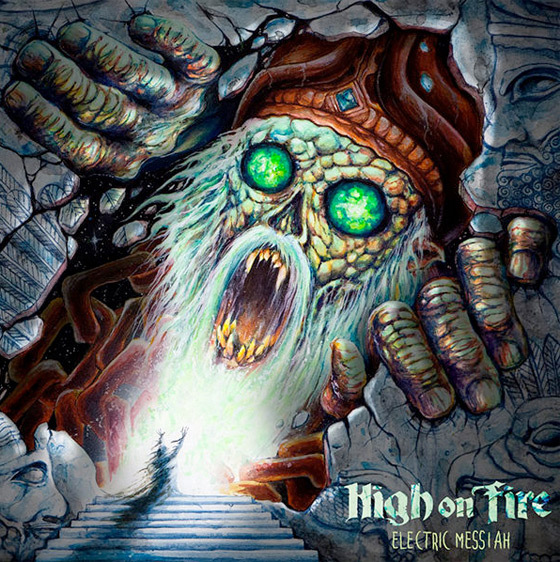 Luckily, Pike didn't burn out all of his creative energy, and turned out one of the greatest High On Fire records he possibly could with Electric Messiah. Given that Electric Messiah is the band's way of paying tribute to the legendary Lemmy Kilmister, it's more than appropriate that opening track "Spewn From the Earth" sounds like the band playing a much heavier variation of a Motörhead track. On songs such as "Electric Messiah" or "Freebooter," the band deliver more of the speedy, gritty feel that has earned Pike comparisons to Lemmy, but with a heavy dose of sludge added in for good measure. Elsewhere, the band draw on monstrous doom vibes that are propelled by Converge guitarist Kurt Ballou's top-notch raw production. Tracks such as "Steps of the Ziggurat/House of Enlil" or "Sanctioned Annihilation" are taken from good to great with the help of Ballou's vibrant production, while tones across the entire record are crystal clear and leave a lasting impression.